- New Feature: AdsManager,Invoicing,VirtualMoney and PaidSystem could now be updated in 1 click on joomla 2.5 to Joomla 3.3 using the Joomla Update System. - Fix: The copy_to_admin feature send more info about the sender of the message. - Fix: The field 'email_admin' from the configuration of AdsManager is now correctly used by the component. - New Feature: The admin can choose where the captcha will be displayed between the edit form, the contact form and the profile form. - Fix: The simple search module and the advanced search module can now be displayed on the same page without conflict. - New feature: The admin can choose which option will be displayed in the date column. - Fix: The paid options are now correctly saved when the user go to the preview page and go back to the edit form. 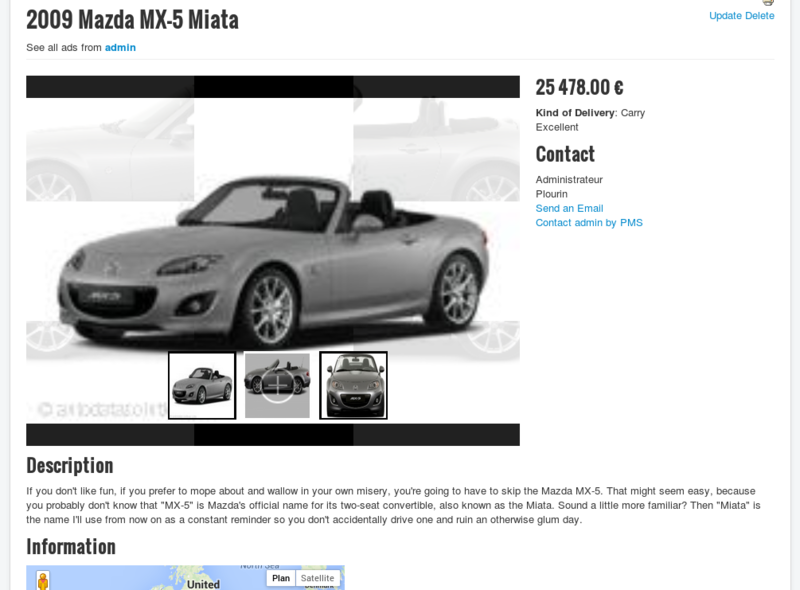 - Fix: The price of the ad is now correctly displayed when the user go to the preview page and go back to the edit form. - Fix: The Community Builder is now correctly in the package. - New Feature: Added new parameter to match real prices and prices in virtual currency. - New : Add option to display or not date column in the list view. - Fix : Add HTML div to allow show/hide of conditional fields when category change doesn't reload the page. * Fix: VirtualMoney: no mail sent for user credits exchanges. * Fix: Some search result page are empty. 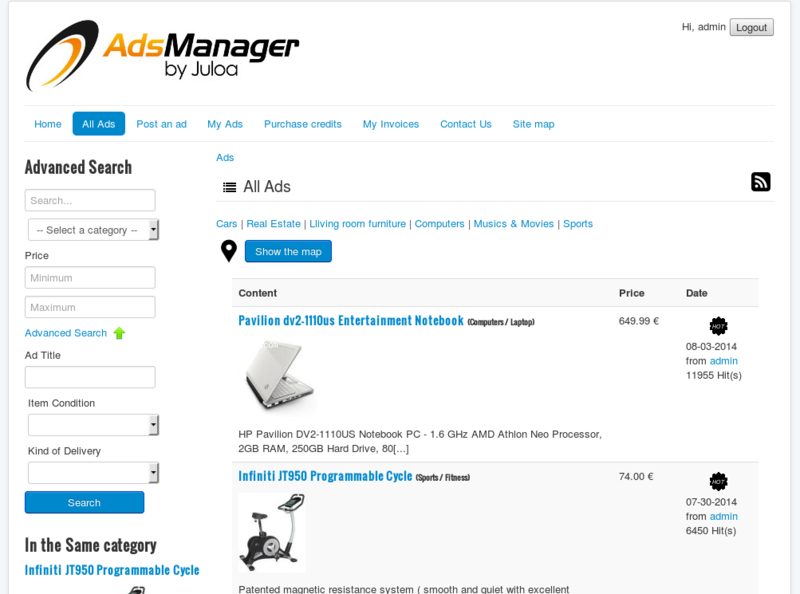 After 1 year of development we are glad to announce the immediate availablity of AdsManager 3. 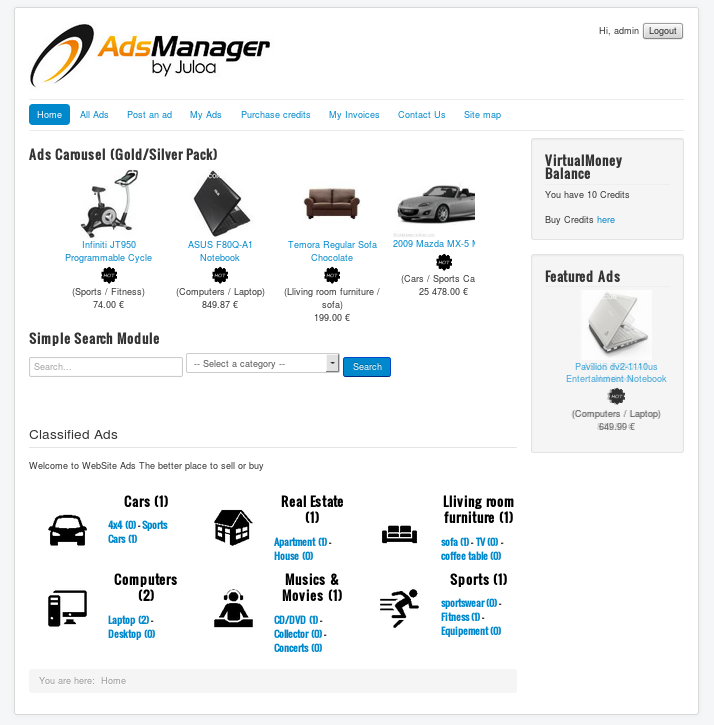 New design, more configuration, better ad form, search improvements, ..... Download the upgrade or install the new version !! 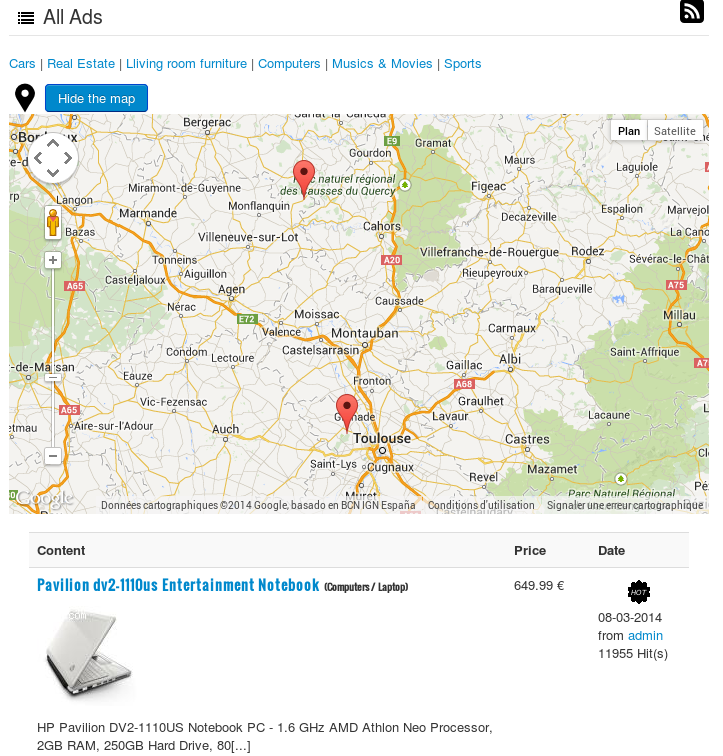 Ad Preview: Your users can now see a preview of their ads before validation or payment. Avoid reload page after selecting category in most case. Add Nofollow option for URL field type. Tags field: New type of field for your ads: Tags to improve user research. Some of your categories or your website is for an adult audience only. Display a disclaimer when user try to enter in this part of your website. Let your users create a list of their favorites ads to find them later without a new search. Avoid SPAM to users who post ads on your website. You will have the ability to moderate message before sending email. Select how the background processing like ad expiration, email notification should be done : webcron, cron or on user request.